Saint Leo University is a Catholic, liberal arts-based university serving people of all faiths. Rooted in the 1,500-year-old Benedictine tradition, the university seeks balanced growth in mind, body, and spirit for all members of its community. 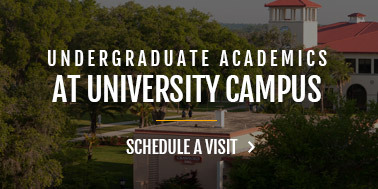 At University Campus, at education centers, and through the Center for Online Learning, Saint Leo University offers a practical, effective model for life and leadership in a challenging world; a model based on a steadfast moral consciousness that recognizes the dignity, value, and gifts of all people. To accomplish its mission, the university community creates a student-centered environment in which the love of learning is of prime importance. Members of the community are expected to examine and express their own values, listen respectfully to and respond to the opinions of others, serve the community in which they live, welcome others into their lives, and care for all of God's creations. Excellence—Saint Leo University is an educational enterprise. All of us, individually and collectively, work hard to ensure that our students develop the character, learn the skills, and assimilate the knowledge essential to become morally responsible leaders. The success of our University depends upon a conscientious commitment to our mission, vision, and goals. Community—Saint Leo University develops hospitable Christian learning communities everywhere we serve. We foster a spirit of belonging, unity, and interdependence based on mutual trust and respect to create socially responsible environments that challenge all of us to listen, to learn, to change, and to serve. Respect—Animated in the spirit of Jesus Christ, we value all individuals' unique talents, respect their dignity, and strive to foster their commitment to excellence in our work. Our community's strength depends on the unity and diversity of our people, on the free exchange of ideas, and on learning, living, and working harmoniously. Personal Development—Saint Leo University stresses the development of every person's mind, spirit, and body for a balanced life. All members of the Saint Leo University community must demonstrate their commitment to personal development to help strengthen the character of our community. Responsible Stewardship—Our Creator blesses us with an abundance of resources. We foster a spirit of service to employ our resources for University and community development. We must be resourceful. We must optimize and apply all of the resources of our community to fulfill Saint Leo University's mission and goals. Integrity—The commitment of Saint Leo University to excellence demands that its members live its mission and deliver on its promise. The faculty, staff, and students pledge to be honest, just, and consistent in word and deed. Academic excellence is an achievement of balance and growth in mind, body, and spirit that develops a more effective and creative culture for students, faculty, and staff. It promotes integrity, honesty, personal responsibility, fairness, and collaboration at all levels of the university. At the level of the university, excellence means offering courses of study in varied intellectual and practical disciplines which successfully encourage students to grow in understanding, skills, and virtue through a supportive learning environment that fosters student success. At the level of faculty, staff, and administration, excellence means establishing a community which is highly proficient in all the tasks associated with teaching, working, and living well together. At the level of students, excellence means achieving mastery of the specific intellectual content, critical thinking, and practical skills that develop reflective, globally conscious, and informed citizens ready to meet the challenges of a complex world. Academic excellence is clearly reflected in the university's assessment of its curriculum, development of its faculty, and execution of its policies, procedures, and practices. Saint Leo University is a Catholic, coeducational liberal arts university offering the associate, bachelor's, and master's degrees. The University was chartered on June 4, 1889, when the Florida legislature authorized the Order of Saint Benedict of Florida to "have and possess the right and power of conferring the usual academic and other degrees granted by any college in this state." Saint Leo University was the first Catholic college in Florida and opened with the dedication of its main building on September 14, 1890. Established initially by monks from Saint Vincent Archabbey in Latrobe, Pennsylvania, the Benedictine mission in what was formerly called the "Catholic Colony of San Antonio, FL." was transferred to the jurisdiction of Mary Help of Christians Abbey (now called Belmont) in North Carolina in 1888. Saint Leo University and Abbey are named for their first abbot, Leo Haid, the principal founder and first president of the University. There were 32 students in the pioneer year of 1890-1891. The basic curriculum was a mix of liberal arts and commercial courses leading to the degree of Master of Accounts. Periodically, the University went through a military phase, with uniforms and required drilling, to instill discipline and order. The first Master of Accounts degrees were conferred on the pioneer graduating class of five students on June 20, 1893. In 1920 the college was phased out as the faculty decided to focus on becoming what one longtime Benedictine called "a serious English-style prep school." It was accredited by the Southern Educational Association in 1921. After a variety of name changes (including Saint Leo Academy and Benedictine High School), the institution settled on Saint Leo College Preparatory School in 1929 and continued as such until 1964. Reaching for a larger mission, Saint Leo opened as a college again in 1959. Its efforts were assisted by the neighboring community of Benedictine sisters at Holy Name Priory. Operating first on the associate level, the college moved quickly to a four-year program and began to again confer bachelor's degrees on April 23, 1967. It was accredited by the Southern Association of Colleges and Schools on November 29, 1967, retroactive to include the charter bachelor of arts class. 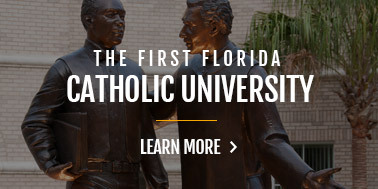 In 1969 the University was reorganized when the Order of Saint Benedict of Florida transferred title and control to an independent board of trustees. In a noteworthy broadening of its purpose, which echoed its military roots, Saint Leo responded in 1974 to requests from the armed services to offer degree programs on military bases. In 1994 the University further expanded its service to working adults as it responded to the needs of Florida residents by taking its degree programs to the campuses of community colleges. 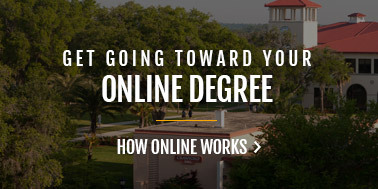 More recently, in 1998, Saint Leo began offering degree programs via the Internet. In December 1994, the University was accredited by the Southern Association of Colleges and Universities to offer the master's degree, retroactive to January 1, 1994. In August 1999, Saint Leo College changed its name to Saint Leo University. The eleventh change in the institution's name recognizes the broad reach of Saint Leo today. Saint Leo University is accredited by the Southern Association of Colleges and Schools Commission on Colleges to award the associate, bachelor's, master's, specialist, and doctoral degrees. Contact the Commission on Colleges at 1866 Southern Lane, Decatur, Georgia 30033-4097 or call (404) 679-4500 for questions about the accreditation of Saint Leo University. Saint Leo University's Tapia College of Business received initial accreditation by the International Assembly for Collegiate Business Education (IACBE) in September 1999. Saint Leo University's bachelor's and master's degree programs in social work are accredited by the Commission on Accreditation of the Council on Social Work Education (BSW level). Saint Leo's undergraduate Sport Business program is accredited by the Commission on Sport Management Accreditation (COSMA). Saint Leo University has Teacher Education Programs approval by the State of Florida Department of Education. Saint Leo University holds membership in the American Council on Education (ACE), the Association of Governing Boards of Universities and Colleges, Independent Colleges and Universities of Florida (ICUF), the American Association of Adult and Continuing Education, the National Collegiate Honor Society, the National Association of Independent Colleges and Universities, the University Continuing Education Association (UCEA), the National Association of Institutions for Military Education Services (NAIMES), Servicemembers Opportunity Colleges, the National Catholic Education Association, and the Association of Catholic Colleges and Universities. Saint Leo University is licensed by the Nonpublic Postsecondary Education Commission organized under the Georgia Department of Education. Address: 2082 East Exchange Place, Suite 220, Tucker, GA 30084-5305; telephone 770/414-3300. The State Council of Higher Education in Virginia (SCHEV) has certified Saint Leo University (33701 State Road 52, P.O. Box 6665, Saint Leo, FL 33574-6665) to operate in Virginia (Fort Eustis Education Center, U.S. Army Education Center, 1500 Madison Avenue, P.O. Box 4326, Fort Eustis, VA 23604; Fort Lee Education Center, 700 Quarters Road, Bldg 12400, P.O. Box 5220, Fort Lee, VA 23801-0220; Langley Education Center, P.O. Box 65519, Langley AFB, VA 23665; and South Hampton Roads Education Center, 1481 D. Street, Bldg. 3016, JEB Little Creek-Ft Story, Virginia Beach, VA 23459). All Saint Leo University programs are exempt from authorization under AS 14.48 because the program is online or distance delivered and does not have a physical presence in the state. Saint Leo University offers classrooms that are ventilated and well lit. Classrooms are equipped with video teaching and teleconferencing, internet and wi-fi capabilities. Faculty and students are provided convenient digital access to the Saint Leo University Canon Memorial Library. Faculty and students also have access to LionShare. LionShare is a learning ecosystem, which includes access to a variety educational platform combined with a social environment allowing students and faculty to connect across the University. The State of California established the Student Tuition Recovery Fund (STRF) to relieve or mitigate economic loss suffered by a student in an educational program at a qualifying institution, who is or was a California resident while enrolled, or was enrolled in a residency program, if the student enrolled in the institution, prepaid tuition, and suffered an economic loss. Unless relieved of the obligation to do so, you must pay the state-imposed assessment for the STRF, or it must be paid on your behalf, if you are a student in an educational program, who is a California resident, or are enrolled in a residency program, and prepay all or part of your tuition. You are not eligible for protection from the STRF and you are not required to pay the STRF assessment, if you are not a California resident, or are not enrolled in a residency program. It is important that you keep copies of your enrollment agreement, financial aid documents, receipts, or any other information that documents the amount paid to the school. Questions regarding the STRF may be directed to the Bureau for Private Postsecondary Education, 2535 Capitol Oaks Drive, Suite 400, Sacramento, CA 95833, (916) 431-6959 or (888) 370-7589. The institution, a location of the institution, or an educational program offered by the institution was closed or discontinued, and you did not choose to participate in a teach-out plan approved by the Bureau or did not complete a chosen teach-out plan approved by the Bureau. You were enrolled at an institution or a location of the institution within the 120 day period before the closure of the institution or location of the institution, or were enrolled in an educational program within the 120 day period before the program was discontinued. You were enrolled at an institution or a location of the institution more than 120 days before the closure of the institution or location of the institution, in an educational program offered by the institution as to which the Bureau determined there was a significant decline in the quality or value of the program more than 120 days before closure. The institution has been ordered to pay a refund by the Bureau but has failed to do so. The institution has failed to pay or reimburse loan proceeds under a federal student loan program as required by law, or has failed to pay or reimburse proceeds received by the institution in excess of tuition and other costs. You have been awarded restitution, a refund, or other monetary award by an arbitrator or court, based on a violation of this chapter by an institution or representative of an institution, but have been unable to collect the award from the institution. You sought legal counsel that resulted in the cancellation of one or more of your student loans and have an invoice for services rendered and evidence of the cancellation of the student loan or loans. To qualify for STRF reimbursement, the application must be received within four (4) years from the date of the action or event that made the student eligible for recovery from STRF. A student whose loan is revived by a loan holder or debt collector after a period of non-collection may, at any time, file a written application for recovery from STRF for the debt that would have otherwise been eligible for recovery. If it has been more than four (4) years since the action or event that made the student eligible, the student must have filed a written application for recovery within the original four (4) year period, unless the period has been extended by another act of law. However, no claim can be paid to any student without a social security number or a taxpayer identification number. Saint Leo University is a Private Institution. Saint Leo University has been granted approval to operate by the Bureau of Private and Postsecondary Education. As a prospective student, you are encouraged to review this catalog prior to signing an enrolment agreement. You are also encouraged to review the School Performance Fact Sheet, which must be provided to you prior to signing an enrollment agreement. Understand who your students are (e.g., adult learners who may not have taken courses for many years, adult learners earning a second degree, traditional-aged students, etc.). Communicate high expectations. Describe for your students the knowledge, skills, and values they will master during the course. Provide students with clear grading requirements during your first class. Describe your expectations for class attendance and discussion participation in the course syllabus. Discuss with your students the Academic Honor Code in its entirety during the first class period. Report all incidences of suspected plagiarism following the process described in Undergraduate and Graduate Academic Catalogs. State clear goals and objectives for each class or instructional session. Use multiple methods to deliver content (e.g., visual, textual, kinesthetic, and/or auditory). For online courses this is covered as a design standard. Augment assigned readings with your experience and expertise during class, rather than repeat material you assign from the textbook. Ensure that discussions and assignments require critical thinking, core values, and decision making on the part of your students. Implement activities that encourage your students to apply, analyze, synthesize, and evaluate course material. Use assessment methods that measure students' progress in applying, analyzing, synthesizing, and evaluating course material. Formal writing assignments should be submitted to Turnitin.com. Encourage active reading, reading to write, and writing across the curriculum activities in your class. Summarize the main points of your lesson at the close of each class or instructional session. Provide timely and substantive feedback to your students and require their feedback as well. Respond to all student messages within 36 hours both during the workweek and on weekends. Offer extra credit opportunities sparingly and if offered to the entire class. Replace missed presentations with only comparable alternative assignments and only in the event of a documented emergency. Record all grades in eLion no later than three days after the last day of the term. This institution is authorized by The Indiana Board for Proprietary Education located at 101 W. Ohio St., Suite 670, Indianapolis, IN 46204-1984. Saint Leo University is registered with the Minnesota Office of Higher Education pursuant to Minnesota Statutes sections 136A.61 to 136A.71. Registration is not an endorsement of the institution. Credits earned at the institution may not transfer to all other institutions. The Saint Leo University academic degree programs are organized under the Division for Academic Affairs, Vice President for Academic Affairs. Three Deans for the College of Arts and Sciences, Tapia College of Business, and College of Education and Social Services, along with the Directors of Graduate Programs, the Registrar Office, Learning Design, and Library Services, report to the Vice President for Academic Affairs. Senior Vice President for WorldWide Student Services supervises the Vice President, Marketing & Enrollment; Vice President, University Campus Admissions and Center for Global Engagement; Associate Vice President, Office of Military Affairs & Services; Associate Vice President of Student Affairs; Associate Vice President Success; Associate Vice President of Facilities Management; Associate Vice President of WorldWide Operations-COL; Assistant Vice Presidents of the Central, Florida, Tampa, and Coastal regions; and the Executive Director of University Public Safety. Saint Leo University's central campus is University College, located in Saint Leo, Florida, and serves traditional-age students. The Online Learning Center provides adults an opportunity to earn associate's and bachelor's degrees completely online. These Education Centers offer the associate's and bachelor's degree through both live instruction and Internet-based learning opportunities at times and locations convenient to adults. In addition to classes at each site, the Education Centers offer instruction in some workplace locations. See Campuses, Centers, and Degree Programs for a breakdown of programs and degrees offered at each center, and see Directory for Correspondence for a directory of address, telephone, and e-mail information. English with Education Minor, B.A. History with Education Minor, B.A. Mathematics with Data Science Specialization, B.A. Mathematics with Education Minor, B.A. Biology with Minor in Education, B.S. Academic freedom is the right of reasonable exercise of civil liberties and responsibilities in an academic setting. It is the policy of Saint Leo University to give its students the freedom, within the bounds of collegial behavior, to pursue what seems to them productive avenues of inquiry, to learn unhindered by external or nonacademic constraints, and to engage in full and unrestricted consideration of any opinion. All members of the University must recognize this fundamental principle and must share responsibility for supporting, safeguarding, and preserving this freedom. In order to preserve the rights and freedoms of the students, the University has a formal process for adjudication of student grievances and cases of violations of the Academic Honor Code. Saint Leo University holds all students to the highest standards of honesty and personal integrity in every phase of their academic life. All students have a responsibility to uphold the Academic Honor Code by refraining from any form of academic misconduct, presenting only work that is genuinely their own, and reporting any observed instance of academic dishonesty to a faculty member. Providing or receiving academic work to or from another student without the permission of the instructor/professor. Buying or selling academic work. Stealing and passing off the ideas and words of another as one's own or using the work of another without crediting the source whether that source is authored by a professional or a peer. Submitting an article or quoted material from a periodical or the internet as one's own. Retyping or re-titling another student's paper and handing it in as one's own. Intentionally or unintentionally failing to cite a source. Helping another student commit an act of academic dishonesty. Resubmitting previous work, in whole or in part, for a current assignment without the written consent of the current instructor(s). Having another student complete one's own assignments, quizzes, or exams. It is the responsibility of every member of the faculty and student body to cooperate in supporting the honor system. Any member of the University community suspecting an Academic Honor Code violation should immediately refer the matter directly to the faculty member teaching the course in which the possible violation took place. For any suspected violation that occurs within a course, the faculty member must discuss the evidence in private with the student and tell the student to continue in the class. If, during the course of an Academic Honor Code violation investigation, the committee determines that other violations of the Academic Honor Code have potentially occurred, the committee may pursue investigating the new violations. All faculty teaching courses at University Campus, any education center, and online including Center for Online Learning, Distance Learning, and Graduate Programs must follow the procedure below to report either an in-class sanction or to request a hearing. Faculty must report any in-class sanction issued to a student using the Academic Honor Code Reporting System in eLion. Sanctions should be levied according to the seriousness of the offense. An instructor may issue an in-class sanction of either 1) assigning a zero for the assignment or 2) allowing a resubmission of the assignment with a reduced grade. An instructor may not issue an F for the course. If the instructor believes the violation warrants a sanction of failure for the course, the appropriate Academic Standards Committee will hold a hearing. The student will have the opportunity to appeal the allegation and/or the in-class sanction within 5 days of receipt of the notification. If the student appeals the allegation and/or sanction, a hearing will be scheduled with the appropriate Academic Standards Committee. Once a faculty member submits the report to the Academic Honor Code Reporting System, the system will automatically send a notice to the student, the faculty member and the Registrar. If a submission to the Online Academic Honor Code Reporting System results in a second offense for a student, the appropriate Academic Standards Committee will be notified and a hearing will be scheduled. The faculty member's charge against the student. A copy of the course syllabus. The dates of the events as they occurred. Any supporting evidence such as a copy of the assignment or exam in question as well as a copy of the Turnitin.com originality report associated with the assignment or exam. A summary of the discussion or copies of emails between the student and the faculty member, including any admission or denial of guilt by the student. Statement from another student to corroborate suspected violation and other evidence if necessary. A statement addressing the extent to which the Academic Honor Code policy is covered in class. Upon receipt of the faculty member's report, the Academic Standards Committee or an ad hoc committee appointed by the Center Director will schedule a hearing and inform the student, in writing, of the date and time of the hearing and include a copy of the faculty member's report. A student cannot avoid a sanction by withdrawing from the course and is not permitted to withdraw from a course while the allegation is under investigation. The Committee will hold the hearing whether or not the student chooses to attend. After reviewing the evidence, the Committee will render a decision on the charge and determine any sanctions that are appropriate. The student may appeal the Committee's decision to the Office Academic Affairs within 5 days of receipt of the notification of the official report, who may issue an appellate decision on behalf of the University. The final authority rests with the Office of Academic Affairs. The sanction for a first violation of the Academic Honor Code could range from zero for the assignment to dismissal from the university, depending on the nature of the violation, but the usual sanction is failure of the course. The minimum sanction for a subsequent offense is failure of the course, but the usual sanction is suspension or dismissal from the university. For additional information, faculty members should contact either the Committee Chair or the appropriate Center or OL Director/Assistant Director. One of the five key elements of Saint Leo University's mission statement is a commitment to practice a student-centered philosophy of service. The University's objective is to courteously and consistently respond to students' questions and appeals in a timely manner. Generally, the most effective resolution of a student's question will come from the University administrator or staff member most directly involved in the area of the student's concern. Thus, the first step in answering the student's question is to contact the appropriate office and individual. A departmental listing of individuals to contact regarding specific concerns may be obtained in the School offices, Education Center offices, the Office of Student Affairs, or the Office of Finance and Accounting. Students attending Education Centers make their initial contact with their Student Advisor or the Center Director, who will provide any needed coordination with the Assistant/Associate Vice President and/or University Campus offices. The University's first objective is to accommodate a student's request if so doing does not violate University policy or undermine academic or disciplinary standards. If this is not possible, the next objective is to provide the student enough information so that the student understands the reason for the decision. If the student wishes to appeal the decision, the student must do so in writing to the next level of appeal as shown on the departmental listing. Appeals that are not resolved or explained to the student's satisfaction after the initial appeal(s) must be appealed in writing to the Vice President or their designee identified in each area within 15 days of the last contact with a University employee. The Vice President or their designee will review the student's appeal and render a final decision in writing within 10 days. For students who are enrolled in a Education Center in Virginia, after all appeals are completed with the University, a student not satisfied with the University's decision may forward an appeal to the State Council of Higher Education for Virginia (SCHEV). The appeal must be in writing and sent to The Director, Private and Out-of-State Postsecondary Education, James Monroe Building, 101 North Fourteenth, Richmond, Virginia 23219. The appeal must be submitted no later than 30 days following the decision by the appropriate University Vice President or their designee. Should a student file a complaint with a state or accrediting body, the student will not be subjected to adverse actions by any school official as a result of initiating a complaint. Grade Point Average: 30.00/15 = 2.0 GPA. Note: Quality points are awarded only for courses taken in residence. A grade may be changed only by the faculty member administering the course. Changes in grades are permitted only when a computational or input error has been made. A grade change will not be made when a student turns in missing or late work after the last day of the semester/term unless an Incomplete was arranged. When a student elects to appeal a course grade that he or she believes to be improper, the student shall notify the course instructor within thirty (30) calendar days from the date that the grade is recorded. All grades are final three months after they are posted unless a grade appeal, as determined by the appropriate College Dean or Division for Academic Affairs, is still in process. When a student elects to appeal a course grade that he or she believes to be improper, the student shall notify the course instructor within thirty (30) days from the date that the grade is recorded. If the issue is not resolved between the student and the instructor, the student may proceed to the next step. The appeal must be submitted in writing to the instructor's Dean if for a University Campus student or to the Center or Graduate Director if for an off-campus, online student, or graduate student. The written appeal shall include all originals or copies of the work upon which the grade was based, a syllabus for the course, and a listing of all materials that were to have been graded for the course. The written appeal must also include the course grade the student believes he or she earned and the basis for such belief. for appeals filed by University Campus students, the instructor's Dean will assign a full-time faculty member in the appropriate discipline to conduct an assessment of the appeal. for appeals filed by off-campus and online students, the student's Center Director will forward the appeal packet to the University Campus Dean who is responsible for the course discipline. The Dean will handle the appeal as noted in sub-section a above. The assigned full-time faculty member will conduct a thorough assessment of the appeal, including communication with the student if deemed necessary. The list of all materials that were to have been graded for the course must be submitted to the original faculty member for review. If the reviewing faculty member determines there is clear and convincing evidence to support a grade change, the recommendation will be forwarded to the Division for Academic Affairs. Although the student filed the appeal for the purpose of being awarded a higher grade, the reviewing faculty member could determine that the instructor's original grade was in fact liberal; therefore, the recommendation would be to lower the grade. Should the reviewing faculty member find no clear and convincing evidence to support a grade change, he or she will forward the finding to the Dean, who will in turn notify the student in writing with copies to the Division for Academic Affairs and the Dean or Center Director who initiated the faculty review. Upon receipt of a recommendation for a grade change from a reviewing faculty member, the Division for Academic Affairs will evaluate the recommendation and make a final determination concerning the student's grade. The student and the instructor will be notified in writing. Once a final decision has been made at this level, the student shall not have any further appeals. Any change of grade will be initiated by the Division for Academic Affairs through the Registrar's office. All written grade appeals will be completed within sixty days from the date of receipt unless the Division for Academic Affairs grants an extension. In those cases where the reviewing faculty finds no evidence to justify a change in grade, the student may appeal to the Division for Academic Affairs. Upon reviewing the appeal and faculty review, the Division for Academic Affairs will make a final, non-appealable decision. The student and instructor will be notified of the decision in writing. All grades are final three months after they are posted unless a grade appeal, as determined by the appropriate College Dean or the Division for Academic Affairs, is still in process. All official grade reports are available on the University's online student information system, known as eLion. Permanent academic records of all students are maintained by the Registrar. Disciplinary records of are maintained by Student Affairs. Disciplinary records of Graduate Program students are maintained by Graduate Programs. The Family Educational Rights and Privacy Act of 1974, as amended (FERPA), is a federal law which requires that the University maintain the confidentiality of students' educational records and establish a policy for annually notifying students of their rights under the law and how they may exercise those rights. In accordance with FERPA, Saint Leo University allows access to a student's educational records to all University officials who have a legitimate educational interest in the student's records. The University does not disclose or allow access to any information from students' educational records to anyone outside the University except (a) to officials of another institution in which the student intends to enroll; (b) to authorized representatives of the comptroller general of the United States, the secretary of the United States, or state educational authorities; (c) to determine eligibility or for enforcement of financial aid programs; (d) to state agencies that require disclosure under state laws existing before November 19, 1974; (e) to organizations conducting certain studies for or on behalf of the University; (f) to accrediting organizations to carry out their functions; (g) to parents of a dependent student, as defined in Section 152 of the Internal Revenue Code of 1954; (h) to comply with a judicial order or lawful subpoena; (i) to appropriate parties in a health or safety emergency; (j) directory information as designated by the University; (k) as otherwise allowed by law; or (l) when the student has provided written consent. For all outside disclosures of information that are made without the written consent of the student, the University maintains a record in the student's file of the name of the party who obtained the information and the legitimate interest that the person had in obtaining the information. The University has designated the following as directory information: student name, address, telephone number, university assigned e-mail address, date and place of birth, major field of study, dates of attendance, degrees, awards and honors received, photographs, enrollment status (e.g. undergraduate or graduate; full-time or part-time), anticipated graduate date, the most recent educational institution attended, participation in recognized activities, and height and weight of members of athletic teams. As stated above, directory information may be released without the student's prior written consent unless the student has requested that directory information be withheld by completing a Request to Withhold Directory Information Form, which may be obtained in the Office of the Registrar. The request will remain on file until withdrawn by the student. Students are notified of their rights under the act by accessing the FERPA information on the eLion online system. Students have the right to inspect and review information contained in their educational records, to challenge the contents of their educational records, to have a hearing if the outcome of the challenge is not satisfactory, and to submit explanatory statements for inclusion in their files if the decision of the hearing is unsatisfactory. Students wishing to review their educational records must make written requests to the Registrar listing the items of interest. The records will be provided within 30 days of the request. Students may request that copies be made of their records, with charges being assessed at the prevailing rate set by the Registrar. Educational records do not include records of instructional, administrative, and staff personnel, which are the sole possession of the maker and are not accessible or revealed to any individual; records of the security department as they pertain to law enforcement; student health or psychological records; and employment records or alumni records that do not relate to the person as a student. A licensed physician selected by the student may review health records. In addition, students do not have the right to inspect or review the financial information submitted by their parents, confidential letters and recommendations to which the right of inspection has been waived, and educational records containing information about more than one student, in which case students will be permitted access only to the parts of the record that pertain to them. Students who believe that their educational records as maintained by the University contain information that is inaccurate, misleading, or otherwise in violation of their privacy or other rights may request that the Registrar amend the records. The Registrar will review the request and render a written decision within 30 days of the request. If the student's request is denied, the student may request a formal hearing in writing. The hearing panel will be designated by the Division for Academic Affairs and will schedule a hearing within 30 days of the student's request. The student will be provided with a reasonable notice of the date, place, and time of the hearing. At the hearing, the student may present evidence relevant to the issues and may be assisted by persons of his or her choice, including attorneys, but at his or her own expense. The decision of the hearing panel is final and will be based solely on the evidence presented at the hearing. The decision will include a summary of the evidence and the reasons for the decision and will be forwarded to the student and all interested parties. If the decision requires that the student's record be amended, the appropriate University official responsible for maintaining the record will correct the record. If the student is dissatisfied with the decision of the panel, he or she may place a statement in his or her educational record commenting on the information in the record. Such statement will be released whenever the record is disclosed. Students should attempt to resolve complaints with the university itself. Applicable university policies usually describe the appropriate procedures such as contacting your academic advisor or dean. Policies can be found in the Code of Conduct. Should a student file a complaint with a state or accrediting body, the student will not be subjected to adverse actions by any school official as a result of initiating a complaint. Filing a complaint with the State of Florida, another state, or an accrediting body does not excuse a student from following any applicable university policies for appeals or challenges to actions taken or toll any time frames for the filing of such internal appeals. The Florida Department of Education (FDOE) serves as the single repository of education data from school districts, community colleges, universities, and independent postsecondary institutions. While the FDOE's Commission for Independent Education has statutory responsibilities in matters relating to nonpublic, postsecondary, educational institutions, Saint Leo University is not under the jurisdiction or purview of the Commission except as otherwise provided in law, and is not required to obtain licensure. See §1005.06, Florida Statutes. The FDOE Office of Articulation is the office available to assist students with complaints. For information on how to file a complaint with the Florida Department of Education, Office of Articulation, please call 850/245-0427 or send an email to articulation@fldoe.org. Under U.S. Department of Education regulations, each state is required to have a process to handle complaints for all institutions in the State, except certain Federally-run institutions and tribal institutions such as tribally controlled community colleges. For purposes of HEA eligibility under these regulations, the State remains responsible for responding to complaints about institutions in the State regardless of what body or entity actually manages complaints. Information on the State of Florida and the University's accrediting bodies has been described above. For other states, the State Higher Education Executive Officers (SHEEO) has compiled a list of Student Complaint Procedures by State and Agency. Students are also welcome to use the links provided below. Complaints related to the university's regional accreditation should be referred following the procedures found at http://www.sacscoc.org. Official transcripts of the permanent record may be released to a student or to others with the student's written permission. Requests for transcripts must bear the student's signature (required by the Family Rights and Privacy Act of 1974). Each request must contain the student's Social Security number, number of transcripts required, and the complete mailing address to which each transcript is to be sent. The University will provide a transcript upon request and upon completion of at least one course with Saint Leo University. Transcripts should not be requested until the grade report for the preceding term has been received. All incomplete work (I) must be completed by the conferral date. Transcript requests may be delayed until degree conferral has been completed. There is a $15.00 fee for each paper transcript requested. eTranscript service is available providing a secure certified PDF transcript. Electronic transcript requests are $10.00 for each transcript requested. Students requesting transcripts must be financially cleared at the time the request is received by the Registrar for processing. If a student is clearing a financial obligation at the time of the request, clearance to release the transcript could take up to ten working days. If a student is financially cleared at the time the request is received, processing will be completed within two working days. All transcript paper requests should be ordered directly from the Registrar, MC 2278, P.O. Box 6665, Saint Leo, FL 33574. Transcripts can also be ordered on eLion. Rush requests may be faxed to 352/588-8656 and must be paid by credit card only. To order using a credit card, the following information must be provided: type of credit card, account number, and expiration date. Rush and overnight delivery is available for an additional charge of $32.00. Saint Leo University students who transfer the University's credits or degree programs to other colleges or universities are advised to contact the receiving College concerning recognition. The receiving College will make the decision on transferability. Students sometimes choose to audit courses to expand their knowledge and enrich their education. Auditing students are expected to attend class regularly and to prepare all materials for the class. No tests or examinations are required, no credit is registered, and no grade is given. Full-time students may register to audit a course only on a space-available basis during the add/drop period and only with the permission of the faculty member teaching the course. Part-time students or visitors may audit a course if space is available and if the faculty member approves. Veterans receiving VA educational training benefits are not eligible to audit courses. Visitors and part-time students are assessed an audit fee of $235 per course. Full-time University College students do not pay a fee for audited courses. To satisfy the academic residence requirements for the master's and bachelor's degrees, students must complete a minimum of 30 credits at Saint Leo University. For the bachelor's degree, a minimum of 15 of the 30 hours required to be taken at Saint Leo University must be in the major. University College students must also be in attendance during the last two semesters. To satisfy academic residence requirements for the associate's degree, students must complete a minimum of 15 credits at Saint Leo University. Students with a bachelor's degree awarded from another accredited institution must complete academic residence requirements and all other degree requirements. Students may not earn two bachelor's degrees unless the student fulfills the requirements of two majors for which two different types of bachelor's degrees are awarded, such as a bachelor of arts for a major in accounting and a bachelor of science for a major in biology. The Alpha Alpha Alpha chapter of Sigma Tau Delta, the international English Honor Society, was chartered in 1990 to brevet distinction upon undergraduates, graduates, and scholars in academia, as well as upon professional writers who have recognized accomplishments in linguistic or literary realms of the English language. To be eligible for membership, a student must have earned at least 45 hours of University credit, completed a minimum of two University courses in English language or literature beyond the usual requirements in first-year composition, and earned a GPA of 3.50 or better overall and in English. Alpha Mu Alpha is the national marketing honor society for qualified marketing students and marketing faculty. Since its inception in 1937, the American Marketing Association (AMA) has remained committed to the advancement of excellence in the field. It was this commitment that fostered the establishment of Alpha Mu Alpha in the spring of 1981. All marketing students who are members of the AMA and hold a minimum overall GPA of 3.25 are eligible. Alpha Phi Sigma is the only national criminal justice honor society for criminal justice majors. The society recognizes academic excellence of undergraduate and graduate students of criminal justice, as well as juris doctorate. The Association of College Honor Societies was organized on October 2, 1925, by a group of college and university teachers, administrators, and representatives of a few well-established honor societies. Its object was then and is now to consider problems of mutual interest such as those arising from the confusion prevailing on college campuses concerning the character, function, standards of membership, multiplicity, and undesirable duplication of honor societies; to recommend action leading to appropriate classification or elimination; and to promote the highest interest of honor societies. Alpha Phi Sigma was granted membership by the Association of College Honor Societies in 1980. Beta Beta Beta is the national honor society for the biological sciences. The Saint Leo University chapter, Sigma Omega, was chartered in 2003. The society is dedicated to improving the understanding and appreciation of biological study and extending the boundaries of human knowledge through scientific research. Members pledge themselves to promote scholarship in the biological sciences, to promote the dissemination of biological knowledge, and to encourage research. Since its founding in 1922, more than 175,000 individuals have been accepted into lifetime membership in the society, and more than 430 chapters have been established throughout the United States and Puerto Rico. Individuals seeking undergraduate membership in the society must be majors in the biological sciences; are normally at least in the second semester of their sophomore year; have completed at least three courses in the biological sciences, at least one of which is beyond the introductory level; and have maintained a GPA of "B" or better in their major. The Saint Leo University student honor society Delta Nu is a member of the Delta Epsilon Sigma National Scholastic Honor Society, which was founded in 1940 for students, faculty, and alumni of colleges and universities with a Catholic tradition. The purposes of the society are to recognize academic accomplishments, to foster scholarly activities, and to encourage a sense of intellectual community among its members. To be eligible for membership, a student must have acquired 60 credit hours, be able to demonstrate leadership and service to others, and maintain a GPA of 3.50. The Iota Gamma is a chapter of the Phi Alpha Honor Society, which is a national honor society for social work students. The society was chartered in 1962 for the purposes of providing a closer bond among students of social work and promoting humanitarian goals and ideals. Phi Alpha fosters high standards of education for social workers. The requirements for membership are social work as a major, sophomore status, completion of eight semester hours or twelve quarter hours of required social work courses, an overall GPA of 3.0, and a 3.25 GPA in required social work courses. A graduate student is eligible for membership if he or she has completed one semester of coursework and achieved a minimum GPA of 3.5. Kappa Delta Pi is the international honor society in education. Founded in 1911, the purpose of the society is to recognize excellence and foster mutual cooperation, support, and professional growth for educational professionals. Membership has included such exceptional educators as John Dewey, Jean Piaget, Howard Gardner, Eleanor Roosevelt, Alfie Kohn, and Albert Einstein. Over 50,000 of the brightest scholars and practitioners are members today. The Saint Leo chapter, Alpha Delta Alpha, was chartered in 2007. To be eligible for membership, students must have a minimum GPA of 3.4 and be recognized for excellence not only in academics but also in service and in educational practice. The motto of KDP is "So to teach that our words inspire a will to learn; So to serve that each day may enhance the growth of exploring minds; So to live, that we may guide young and old to know the truth and love the right." Lambda Pi Eta is the official communication studies honor society of the National Communication Association. Founded in 1985, the society now has more than 400 active chapters at four-year colleges and universities worldwide. The Saint Leo University chapter, Omega Chi, was chartered in 2011. The name Lambda Pi Eta is represented by the Greek letters L (Lambda), P (Pi), and H (Eta), symbolizing what Aristotle described in his book Rhetoric as the three ingredients of persuasion: Logos (Lambda) meaning logic, Pathos (Pi) relating to emotion, and Ethos (Eta) defined as character credibility and ethics. The society's goals are to recognize, foster, and reward outstanding scholastic achievement in communication studies; stimulate interest in the field of communication; promote and encourage professional development among communication majors; provide an opportunity to discuss and exchange ideas in the field of communication; establish and maintain closer relationships between faculty and students; and explore options for graduate education in communication studies. Phi Alpha is the national honor society for undergraduate and graduate social work students. Established in 1960, there are currently 106 chapters in the United States. The purposes of Phi Alpha are to provide a closer bond among students of social work and promote humanitarian goals and ideals. Phi Alpha fosters high standards of education for social workers and invites into membership those who have attained excellence in scholarships and achievement in social work. To be eligible for membership, one must declare social work as a major, have achieved sophomore status, complete nine semester hours of required social work courses, achieve an overall GPA of 3.0 (on a 4.0 scale), and achieve a 3.25 GPA in required social work courses. For community college transfer students, Saint Leo has an alumni chapter of Phi Theta Kappa (PTK), the international honor society of two-year colleges. Pi Sigma Alpha is the national honor society for undergraduate and graduate political science students. There are currently more than 500 established chapters at American colleges and universities. The Saint Leo University chapter is Omega Epsilon. The society contributes to University life through sponsored campus visits by political leaders, community forums on political issues, and student site visits. In 2002, Omega Epsilon received a national award as one of three outstanding chapters of Pi Sigma Alpha. To be eligible for undergraduate membership, an individual must have completed at least ten semester hours of work in political science, including at least one course at the upper-division level; maintained a GPA of "B" or higher in all political science courses; maintained general scholarship sufficient to be placed within the upper third of one's class; and fulfilled any additional requirements prescribed by the local chapter. Associate memberships are also available to students wishing to participate in chapter activities who do not as yet meet the national requirements. Psi Chi is the national honor society in psychology, founded in 1929 for the purpose of encouraging, stimulating, and maintaining excellence in scholarship and advancing the science of psychology. Psi Chi is a member of the Association of College Honor Societies and is an affiliate of the American Psychological Association and American Psychological Society. Psi Chi functions as a federation of chapters located at more than 875 senior colleges and universities in the United States. The Saint Leo Psi Chi chapter was founded in 1997. The national organization's requirements for membership are completion of at least three semesters of college, completion of nine semester hours of psychology courses, registration for a major or minor in psychology, and undergraduate overall cumulative GPA of 3.00 and rank in upper 35 percent of their class (sophomore, junior, or senior) in general scholarship. Students also must have a 3.00 GPA in psychology courses. The National Society of Leadership and Success—Sigma Alpha Pi—began with a vision of its founder, Gary Tuerack, who wanted to build a community to truly impact lives in a positive and lasting way. He teamed together a nationwide effort of professional speakers and staff members at universities who believed in the mission of making a long-term positive impact in people's lives and began creating a program designed to offer continual motivation and support, with accountability steps to help people take the necessary actions to achieve their goals. The vision was to create a community where like-minded success-oriented individuals could come together to learn from and support one another. The vision included a supportive group dynamic with presentations from the nation's top presenters along with proven useful tools and strategies for achieving goals. The society began with 131 members at 16 chapters in the first year. As word of mouth spread and the offering improved, the society rapidly continued to grow, and still continues today. The society was chartered at Saint Leo University on April 23, 2008. Theta Alpha Kappa (TAK), national honor society for religion studies and theology, exists to encourage, recognize, and help maintain excellence within the academic study of religion and theology. It does this primarily by recruiting and chartering local chapters in appropriate, qualified institutions of higher learning—which chapters, in turn, exist to pursue these same purposes in a local context through their various activities and induction of qualified students. Secondly, through its Journal and other programs, TAK seeks to pursue these purposes within a national and (hopefully in future) an international context. TAK is held to high standards in supporting and recognizing these scholarly pursuits by its status as a member society in the Association of College Honor Societies, as a related scholarly organization of the American Academy of Religion, as an affiliated society of the Council of Societies for the Study of Religion, and as a nonprofit, educational corporation in the State of New York, In each case TAK has committed itself—through its incorporation papers and constitution—to these purposes and high standards. Upsilon Pi Epsilon (UPE) is the first, and only, existing international honor society established to recognize academic excellence at both the undergraduate and graduate levels in the Computing and Information Disciplines. Organized at Texas A&M University, College Station, Texas, in 1967, the society now consists of chapters in various colleges and universities throughout North America and overseas. Saint Leo University's Omicron Chapter was established in fall, 2015. Its membership consists of outstanding scholars, chosen not only for their academic achievement in a computing science program, but also for distinguishing themselves as true professionals by meeting the standards and achieving the goals of the society, which include: The recognition of outstanding talent in the field of computing science; The promotion of high scholarship in computing science; The establishment and maintenance of high standards in computing science; The representation of computing science in interdisciplinary communications, and The encouragement of individual contributions to society through computing science. UPE is a member of the Association of College Honor Societies and has received endorsements from the two largest computer organizations in the world, the Association for Computing Machinery (ACM) and the IEEE Computer Society (IEEE-CS). Saint Leo University is a current member of the Servicemembers Opportunity Colleges Degree Network System (DNS). 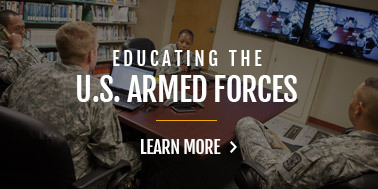 The DNS is a group of institutions selected to provide servicemembers and their eligible family members the opportunity to complete college degrees without losing credit because of frequent changes in duty station. For example, many courses offered by member institutions have two-way guaranteed transferability to provide more flexibility and options in order to satisfy degree requirements. The SOC DNS Student Agreement issued to all eligible students at member institutions provides a complete evaluation of servicemember's prior learning, including courses from other colleges and universities, military training courses, military occupational experience, nationally-recognized exams, and other non-traditional credits, as well as clearly identifying requirements for completing the degree. Current SOC Degree Network System membership and participating degree information is available at http://www.soc.aascu.org/. Although Saint Leo University is currently a member of the SOC Degree Network System, membership or participating degrees may change at any time. University Library Services provides instruction, information resources, and services needed by students pursuing their education and seeking an understanding of themselves, their world, and their Creator. The Daniel A. Cannon Memorial Library faculty and support staff offer direct personal assistance to all our students and faculty, at all locations and online. Library acquisitions are carefully selected to support the curriculum and to provide information resources in a variety of formats. Located on the University Campus and overlooking Lake Jovita, the Daniel A. Cannon Memorial Library provides a welcoming environment for individual and group study and research. The three-level library building houses book print collections, ebook, electronic, audiovisual, and instructional materials collections, as well as an extensive periodicals collection. The Eelectronic resources complement and enhance traditional print and non-print information resources. Computer Wworkstations for accessing the library's online catalog and multiple research databases are located throughout the building. Additionally, the fully automated library offers maintains an education resources center, a media services center, a student computer lab with a full suite of software for courses;, the Hugh Culverhouse Computer Instruction Center (CCIC1 and CCIC2);, and several classrooms, including a video teleconferencing classroom. The University Archives and Special Collections are also housed in the library building. Library faculty regularly conduct classes in information retrieval and library research skills to promote Information Literacy and lifelong learning. Because many students will use the library's resources from a distance, an online orientation to the library and its resources, as well as a large selection of help videos are is available to all students wherever they are located. The online orientation includes tutorials on the use of OCLC discovery search, research databases, Internet search engines, and other selected reference sources, as well as general information literacy issues. The library web page offers remote access to the library's resources and services no matter your location. 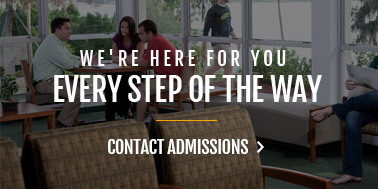 for off-campus students enrolled at Saint Leo University Worldwide Education Centers. This web sitepage provides easy access to the library's resources and services, including reference and research help, writing assistance, the information retrieval system, approximately 500,000 ebooks collections, and multiple research databases that include many thousands of full-text journal, newspaper, and magazine articles. In addition to serving as the gateway to academic research for both distance learners and University Campus students, the library website also includes a calendar students can use to schedule on-site, online, or telephone writing support, the ability to call, email or text a an Ask-A-Llibrarian for research assistance, feature as well as course specific LibGuides and links to selected reference sources available on the Internet. Online request forms further aid document delivery and interlibrary loan services, while a toll-free number to the reference desk (800) 359-5945 affords direct person-to-person communication with a librarian concerning reference, database research, bibliographic search, circulation, interlibrary loan, document delivery, and course reserve services. Besides the resources of the Daniel A. Cannon Memorial Library, University Library Services also provides regional librarians for the Saint Leo University Worldwide Education Centers students and faculty not located at University Campus, as well as two online librarians dedicated to serving students in all of the University's undergraduate and graduate online programs. Even if you are taking courses at a distance, the library can support your research, writing, and information needs. The library is dedicated to serving all students and faculty, at all locations. There are even two faculty writing instructors available in the library and they work with the regional librarians as well as other writing support personnel to provideing assistance with all aspects of the writing process, from the first idea to the bibliography support for students as well. Additionally, the Daniel A. Cannon Memorial Library establishes cooperative agreements with local libraries and host institutions for use of library resources by students enrolled in Saint Leo University Education Centers; students can also get reimbursed for obtaining a local library card at another academic library that does not have a cooperative agreement with the University. University Library Services is further strengthened by participation in networks and cooperatives for interlibrary loan exchanges throughout the United States and globally. The Cannon Memorial Library is a charter member of the Tampa Bay Library Consortium and a participant in Ask-A-Librarian, Florida's largest collaborative online reference service. The library is also an active member of the Florida Library Information Network, ICUF Libraries, OCLC, and SOLINET. Computing resources and accounts are owned by the University and are to be used for University-related activities. All access to computer systems managed by University Technology Services, including the issuing of passwords, must have prior approval. Computing resources and accounts are to be used only for the purpose for which they were assigned and are not to be used for commercial purposes or non-University related activities. The continued use of an account after the student enrollment or faculty/staff/associate employment ends is considered a non-University related activity, except for e-mail accounts used by alumni. Individuals must not use an account assigned to another individual, including student accounts, without written permission from either University Technology Services or the division that granted the account. Faculty, students, staff, and associates are individually responsible for the proper use of their accounts, including proper password protection and appropriate use of Internet resources. Allowing friends or nonauthorized individuals to use accounts, either locally or through the Internet, is a violation of these guidelines. It is recommended that account holder change the account password at least once per semester. Data files are confidential. Computing Services or departmental staff may access others' files when necessary for the maintenance of University records, the maintenance of computing systems, validation of online coursework, or during investigation of serious incidents. The latter would require the approval by the appropriate institutional official, or as required by local, state, or federal law. University computing resources may not be used to intimidate or create an atmosphere of harassment based upon gender, race, religion, ethnic origin, creed, or sexual orientation. Fraudulent, threatening, or obscene e-mail or graphical displays used to harass or intimidate others are prohibited. Chain letters, mass mailings, and repeated sending of e-mail after being requested to stop are also examples of inappropriate uses of University electronic communications resources. Users will abide by applicable federal and state laws. No one should deliberately attempt to degrade the performance of a computer system, including network resources, or to deprive authorized users of resources or access to any University computer system in any way, including the intentional distribution of spam or malware. It is a violation of these guidelines to use unauthorized knowledge of a password to damage any computing systems, obtain extra computing resources, take resources from another user, gain access to computing systems, or use computing systems for which proper authorization has not been given—either on campus or off campus. Software use must conform to copyright laws and licensing agreements. For the protection of all Saint Leo University computer users, an individual's computer use privileges may be suspended or restricted immediately upon the discovery of a possible violation of these guidelines or other campus policies. Whenever possible, users whose computer access has been restricted or suspended will be notified of the restrictions and the means for resolving the matter. Individuals who violate these guidelines will be subject to sanctions as outlined in the University's Employee Handbook, Student Handbook, or Academic Honor Code. All such cases will be forwarded to the appropriate officer of the University for action. Please note that there may be software components accompanying textbook materials that are not MAC compatible. Students may experience problems using these tools as a result. Saint Leo University cannot be held responsible for students experiencing difficulty with software components that are not MAC compatible. Students must make formal application for graduation through the Degree Conferral application system located in the student portal - eLion. A fee is required for graduation, even if the student chooses not to participate in the Commencement exercises. In order to provide time for a thorough research of the applicant's record, the application must be submitted two semesters/terms prior to the anticipated graduation date in order to allow a degree audit. The conferral date is determined upon completion of all requirements listed under degree requirements, including the completion of all incomplete work and receipt and posting of all transfer credit. The conferral date will be the day after the last day that all requirements are completed. Each year at the completion of the spring semester, the University holds commencement ceremonies with academic regalia at the University Campus and at the Education Centers. University College, Graduate Programs, Online Learning Center, and Adult Education Program students who have met all the requirements of Saint Leo University for receipt of the master's or bachelor's degree and have met all financial obligations may participate in commencement ceremonies on University Campus. Students who have a maximum of two courses left for degree completion at the end of the spring semester may request permission from their College Dean or Center Director to participate in the commencement ceremonies if they can provide evidence that all remaining coursework will be completed by September 1 following graduation exercises. The Education Centers have separate commencement ceremonies. Applications must be submitted through the student portal - eForm - Commencement Application system. The system displays the dates of the commencement events and the deadlines to apply to be able to participate. Saint Leo University is committed to policies that ensure there is no discrimination on the basis of age, gender, race, color, creed, religion, national origin, or disability. The University prohibits discrimination on the basis of disability in admission or access to its educational programs and associated activities. Students with disabilities requiring special services should identify themselves and their needs to the Office of Accessibility Services, the Office of Admissions, Education Center, or the Graduate Studies Office as soon as possible after receiving notification of their admission to the University. Students interested in attending Saint Leo University's traditional, residential undergraduate areas of study should refer to Admissions Policies and Procedures of this catalog for admission information for University College. Students interested in attending Saint Leo University at one of our Education Centers or through the Online Learning Center (OL) should refer to Undergraduate Policies and Procedures , "Saint Leo University WorldWide ," and "Online Learning Center " of this catalog. Saint Leo University is committed to providing the best education for all its students. We believe that education is a developmental process and that a critical element in learning comes from peer-to-peer connections. As a result, the Education Center enrollment is designed to serve the needs of adult learners and members of the military. Applicants denied admission to Saint Leo University may appeal the decision by filing a written request for review to the Vice President for Enrollment within 30 days of the decision. The applicant may submit additional documentation, which will be reviewed along with all previously submitted credentials. The applicant will be informed of the decision within 30 days of the receipt of the request for review. 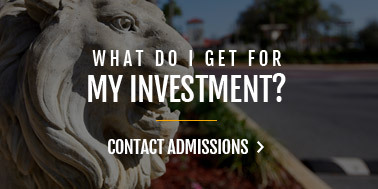 For information about financial assistance, see Admissions Policies and Procedures . The Division of Student Affairs assists, nurtures, and supports students and their peer communities through programs and services that encourage intellectual, interpersonal, and spiritual development. The staff is strongly committed to the total development—mind, body, and spirit—of each student within our University community. This is accomplished through the development of a healthy and positive community that enables each student to develop social and interpersonal skills, foster leadership skills, explore career opportunities, cultivate sound ethical and moral principles, deepen spiritual commitments, and formulate a philosophy of life that embraces our Benedictine-inspired values of community, respect, excellence, personal development, responsible stewardship, and integrity. Departments within the Division of Student Affairs are designed to assist a student's growth and development as a whole person by assisting all students in becoming more involved with campus activities and organizations. Saint Leo University recognizes that working with others through out-of-classroom projects, activities, and events develops leadership, promotes community on the University campus and at the Division of WorldWide locations, creates a vibrant student life experience, and generates strong school spirit for all. As active members of the University community, students are encouraged, individually and collectively, to express their views on institutional policy and matters of general interest to the student body. University College students can participate in the formulation and application of institutional policy, affecting both academic affairs and student services, through standing committees, the Student Government Union, and numerous ad hoc committees and organizations. Any students concerned with an academic issue should contact the department director, College Dean, or Center Director. All issues concerning student life should be directed to the Associate Vice President for Student Affairs. As members of the Saint Leo University community‚ students can expect to be afforded certain basic rights and can also expect to be held accountable for certain basic responsibilities. Therefore, to maintain standards that contribute to the intellectual, spiritual, and moral development of students and ensure the welfare of the University community, Saint Leo University has established its Code of Conduct, part of which appears below. Saint Leo University is an educational environment dedicated to fostering intellectual achievement, personal development, and social responsibility. The disciplinary system is an integral part of our educational process. While a university education is primarily academic and intellectual in nature, it also includes the development of Core Values that translate into responsible behavior. Students are expected to display respect for individuals and their rights within the Saint Leo University community setting. Persons at Saint Leo University locations are expected to express themselves through conduct which does not deny other individuals the freedom to express their own individuality socially, emotionally, intellectually, and spiritually, and does not deny other individuals their rights. Saint Leo University maintains the right to dismiss or suspend or otherwise take action related to any student for reasons that the administration deems to be in the best interest of the University. For the full text of the Code of Conduct, please go to https://cdn2.hubspot.net/hubfs/206683/Resource%20PDFs%20and%20DOCs/Safety/code_of_conduct_2017-2018.pdf?t=1529511255717. Faculty are required to admit to class only those students with appropriate documentation as directed by the Registrar. As members of our community, Saint Leo University students are expected to conduct themselves at all times in accord with good taste and respect for others. In addition, they must observe the regulations of the University and all local, state, and federal laws. All University community members—faculty, staff, employees, students—have the right and obligation to report violations of civil or University regulations to the appropriate University Vice President or Associate Vice President. Special note on Center and Online Students: Center Directors serve as designees of the Associate Vice President for Student Services with respect to Center students. The Director of COL Student Services for the Center for Online Learning serves as the designee for students enrolled wholly online. Should a University community member encounter a disruptive student, the student shall be asked politely, but firmly, to leave the classroom (or wherever the locus of disruption). A University community member has the authority to do this if the student is acting in a disruptive manner. If the student refuses, the appropriate office shall be notified. Additionally, if a student demonstrates a lack of respect for a faculty or staff member by raising his/her voice, using profanity, and/or being aggressively argumentative, the student may be found in violation of the University's core values and placed on conduct probation, suspended, or dismissed from the University. All members of the University community and guests are entitled to be free from harassment, coercion, sexual harassment, threat, disrespect, and intimidation. Any statement or action that damages or threatens the personal and/or psychological well-being of a person will not be tolerated. Personal abuse not only occurs when directed to the individual but can also occur in the presence of the individual. Students who feel that they have been subject to personal abuse by a faculty member, staff member, or another student should report the incident to the Associate Vice President for Student Affairs, College Dean, or Center Director. University Ministry serves the religious and spiritual development, as well as the personal and social justice concerns, of all the students, faculty, and staff of Saint Leo University. From the wisdom tradition of our Benedictine-inspired heritage, we emphasize the spiritual and religious importance of learning and learning well. From the world-engaging spirit of the Second Vatican Council, we encourage a spirituality where people claim and develop their natural and human gifts for the service of others, especially for the poor and forgotten. Because we are a Catholic university, we give special attention to nurturing the Catholic identity and self-understanding of Catholics in our community, as well as offering joyful and meaningful worship. All members of the Saint Leo Community are always welcome to join any specifically "Catholic" activity that University Ministry offers. In actual fact, the majority of our activities, such as retreats, and mission/ service trips, are open to all—that is, open and welcoming to all Christians as well as to our brothers and sisters of the Jewish, Muslim, and other faith traditions. As part of the larger mission of Saint Leo University, University Ministry supports and educates for our core Benedictine-inspired values of excellence, community, respect, personal development, responsible stewardship, and integrity. University Ministry especially promotes the Benedictine-inspired values of community building and hospitality on campus and in our residence halls. We emphasize in a positive way wherever we can that we truly are "our brothers' and sisters' keepers" (Genesis 5). We are called to hold one another in sacred trust and never to violate that sacred bond. Thus, we affirm and call forth the best of one another as well as challenge any behavior or attitudes that destroy human dignity and community and our sense of joy of being part of the Saint Leo family. This spirit of community building and cooperation leads University Ministry, Student Services, and Residence Life to share programs and to support one another's endeavors. University Ministry works with the President's Office and Academic Affairs in introducing new faculty and staff to our Catholic and Benedictine heritage. In terms of outreach to the larger community, University Ministry works very closely with our own Center for Catholic-Jewish Studies and with University Advancement and Alumni Relations to involve our friends and neighbors in the mission and activities of Saint Leo University. Ensures the worship and ritual life for the University Community—Catholic Mass, memorials, and special events of a religious and patriotic nature. Trains and mentors young adults for lay leadership in the Catholic Church or in other Christian Churches through the Ministry Mentor Program. Offers retreats and other experientially based opportunities for spiritual and personal growth—deeper awareness of God, self, and others and integrating the mind-body-spirit connection. Provides and encourages Bible study, lectio divina, prayer groups, and faith communities. Trains and educates liturgical ministers (readers, Eucharistic ministers, ministers of hospitality) to take an active role in Sunday Liturgy and at other schools' Masses. Trains and educates student singers and musicians through student choir and band, to make Campus Liturgies and "Praise and Worship Nights" a joyful expression of faith. Invites speakers to talk about contemporary issues in religion and/or in social justice. Offers sacramental confession, spiritual direction, and pastoral counseling. Provides sacramental preparation for marriage and for the other sacraments through the Rite of Christian Initiation for Adults (RCIA), including Baptism, Confirmation, and First Holy Communion. Offers pastoral care in cases such as times of illness (including hospital visits), during personal crises and other traumatic events, on the occasion of a divorce or death in the family, and in the case of serious illness or death of a friend. Offers the Invocation at all "home" athletic events and provides special retreats and prayers for the various athletic teams. Supports efforts to affirm and protect life from conception to natural death with our pro-life "Imago Dei" group. Through "Project Rachel," provides support and guidance for those who are suffering remorse after having had an abortion. Collaborates with Counseling Services, to provide emotionsl support as needed. For further information and updates, consult our website: www.saintleo.edu/umin. It is the mission of the Center for Catholic-Jewish Studies to build mutual respect, understanding, and appreciation among Jews, Catholics, and all people of good will by providing opportunities for interfaith education and dialogue. Established at Saint Leo University in 1998, the Center concentrates its efforts to promote interfaith dialogue on contemporary problems and to address historical conflicts, as well as to educate the wider communities on the philosophical and theological understandings for the two faiths and their impact on modern society. The Center is open to all members of the community. The Intercollegiate Athletic Program is conducted under the auspices of Saint Leo University, the Sunshine State Conference, and the National Collegiate Athletic Association (NCAA), Division II. The University offers competition for men in cross-country, track, soccer, basketball, baseball, tennis, lacrosse, swimming, and golf. The University offers competition for women in cross-country, track, soccer, indoor volleyball, beach volleyball, basketball, softball, tennis, swimming, golf, and lacrosse. In order to participate in intercollegiate athletics, students must be free from academic or disciplinary probation. Athletes mustearn at least 9 credit hours per term and earn a minimum of 24 credits per year. All student-athletes must maintain a 2.0 grade point average. Students must ensure that professors are informed in advance of their scheduled absences (see Academic Procedures and Definitions ). Freshman students must qualify for athletic participation under the NCAA Initial Eligibility Standards as follows: successfully complete a high school core curriculum of at least 16 academic courses including at least three years in English, two years in mathematics, two years in social science, and two years in natural or physical science (including at least one laboratory class if offered by the high school), three years of additional core classes (english, math, or natural or physical science), four additional years of English, Math, Natural or Physical Science, Social Science, foreign language, comparative Religion or Philosophy as well as a 900 combined score on the SAT verbal and math sections or a sum score of 68 on the ACT. Transfer students must meet NCAA regulations, which vary depending on attendance at four-year or two-year institutions. The compliance coordinator at the University will handle transfers on a case-by-case basis. To provide each University Campus student the opportunity for physical activity, the Marion Bowman Activities Center features a gymnasium with two basketball courts and three volleyball courts, and a fitness center and pool. In addition to the Marion Bowman Activities Center, there are outdoor tennis courts, lighted baseball and softball fields, a soccer field, a synthetic turf lacrosse field, and an out outdoor basketball court. There is an intramural/practice field which houses the beach volleyball courts. Three commercial 18-hole golf courses are adjacent to the University Campus. Intramurals: Structured tournaments and leagues are offered in a wide variety of sports. Some of the sports offered are softball, flag football, street hockey, basketball, soccer, volleyball, and tennis. Intramural sports are a great way to make new friends, develop your mind and body, and learn new skills. Fitness Center: The Fitness Center has all the latest cardio, weightlifting equipment and tons of group classes. Group exercise classes are offered at the Fitness Center and at various areas on campus. It is open to students, faculty, and staff on a daily basis. Ropes Course: The low and high ropes course is designed to promote effective communication, leadership and teamwork in a group setting, while encouraging individuals to challenge themselves in a safe and friendly environment. Groups of 12 or more can reserve a time for a certified instructor to take them through the low or high ropes course. Lakefront: Saint Leo University is located directly on Lake Jovita. Canoes, kayaks, and stand-up paddle boards are available for student, faculty, and staff use. Take advantage of the picturesque view and enjoy a little peace and quiet. There are also picnic facilities and a sand volleyball court available. Pool: The outdoor swimming pool is open year-round, weather permitting. The Marion Bowman Center Pool is perfect for doing laps, napping in the sunshine and student get-togethers. Open Recreation: Open Recreation is the supervised, but not structured, use of Saint Leo athletic facilities. The mission of the Saint Leo University Alumni Association is to foster a mutually beneficial relationship between Saint Leo University and its alumni by promoting active alumni participation and involvement through on-campus and regional programs; serving as an advocate for the University's mission, plans, and purpose; identifying and encouraging the enrollment of quality and diverse students; assisting in gathering philanthropic support; and recognizing University alumni and friends who are distinguished by their loyalty, professional achievement, and community service. In fulfilling this mission, the Saint Leo University Alumni Association will ensure that all of its efforts and activities are consistent with the University's values, strategic objectives, policies, and procedures. All catalogs © 2019 Saint Leo University. Powered by the Acalog™ Academic Catalog Management System™ (ACMS™).